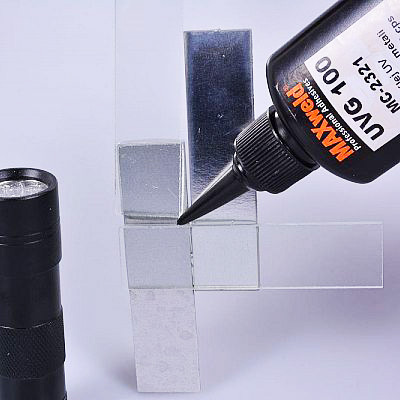 MAXWELD® UV adhesives are an advanced range of solvent-free adhesives for very strong bonding of glass and metals. UV adhesives are transparent clear with different structure from hard to elastic elastomers. UV adhesives are in a single-component form with different viscosities of water-like viscosity to the non-dripping gel. 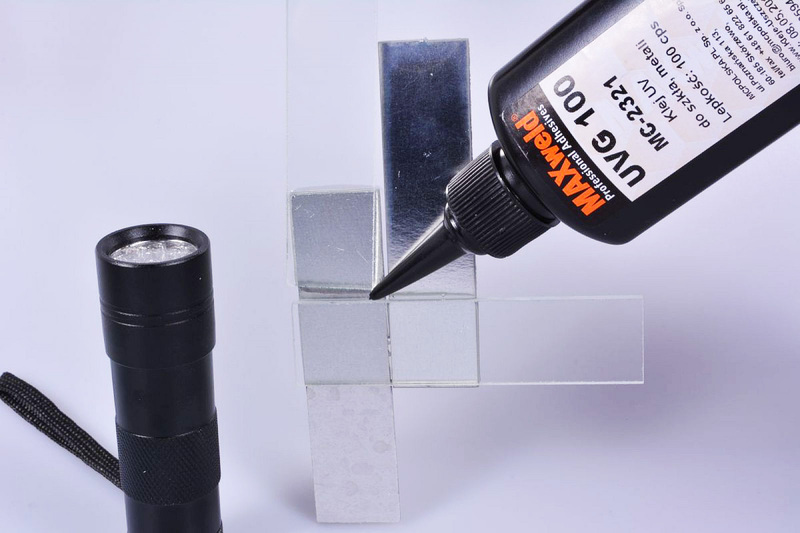 UV adhesives enable the reposition of glued components without time limit until they are exposed to ultraviolet light, which causes the liquid acrylic glue to harden in a few seconds and forms a very durable polymer for joining materials. Metal, Plastics, FerriteUV glue, Specifically designed for potting. Bonds with slight adhesion: for connectors, thermal switches, temper proofing.